Galen Rupp cruised to victory in the 10,000 meter race at Hayward Field in Eugene, Oregon, but accusations around his coach Alberto Salazar loomed over the win. EUGENE, Oregon – Things were much the same Thursday night, yet things were also different, in such a way that they can never be made entirely whole again. There was Galen Rupp, running 25 laps and 10,000 meters around the track at Hayward Field, where he has run so many times before. There was an adoring crowd, though diminished in its size by roaring heat—91 degrees at race time after a blazing afternoon—but not in its passion. There was a final 800 meters in under two minutes, in which Rupp easily ran away from a field of lessers to win his seventh consecutive national championship, and a thankful wave to the crowd—“these great Oregon fans,” Rupp would say later—as he slowed to savor the finish. Rupp, 29, has been among the best runners in the U.S. for nearly a decade, among the best in the world for half that and a de facto professional since early in high school. Yet this night was different from all the others. It came at the end of three weeks in which Rupp and, more pointedly his coach, Alberto Salazar, were the subjects of an investigative report jointly produced by ProPublica and the BBC that alleged a skirting of international medication rules to benefit performance. On the day before the race, Salazar had published a lengthy response, denying most of the allegations, but the report was the elephant in the room when the gun was fired to begin the race, the last on the first day of the USA Track and Field national championships, at 8:15 p.m., Pacific Daylight Time. As Rupp fell into an easy pace in the middle of the pack, Salazar stood alone in a temporary hospitality area overlooking the starting line. Dressed in a black and grey shirt, black running tights and a black cap, Salazar held a green railing and watched impassively as the field dawdled through the early laps. Occasionally he would glance at his stopwatch. Nearby, Rupp’s Irish agent, Ricky Simms, took pictures with an actual camera, not a cell phone. As the race unfolded, Salazar began occasionally shouting lap splits at Rupp, and occasionally other encouragement. One thousand meters from the finish, Rupp darted out of a box, was briefly tripped from behind—he looked back angrily—and then shot to the lead. Rupp is an Olympic silver medalist, on the short list of the most accomplished U.S. distance runners in history, by far the class of any domestic field. He darted to the lead and opened 10 meters on Ben True, the only chaser with wheels to stay close, but not that close. With two laps left, Salazar: “Let’s go, Galen!” Rupp was slack-jawed. The effort was easy. He finished in 28:11.61, 87 seconds over his American record set last year. But that was not the story. The story was the win. And the story was the stories that had been published and posted, stories that will follow both men to the ends of their careers. Fifteen minutes after the race, Rupp faced a cluster of notebooks and cameras in a crowded media tent. Three times he said some version of, “I stand behind [either Salazar or Salazar’s statement] 100 percent.” Three times he said some version of, “I believe in a clean sport.” Three times he said some version of, “I’m not gonna lie, it’s been hard.” The coaching that preceded his post-race interview was no less impressive than the coaching that preceded the race itself. But that’s okay. Rupp stood and answered questions in the manner he was most comfortable. Good on him for that. (When a British journalist asked Rupp whether he had spoken to his training partner, double Olympic gold medalist Mo Farah of Great Britain, Rupp said that he had, but that the substance of that conversation “is between me and him.”). And then the night was over. So here is where we are in track and field: back in an old familiar place to which the sport returns with dispiriting regularity, and seemingly will for evermore. Not just to storied Hayward Field (although there, too), but to a place where every moment is freighted with suspicion and these apparently simple—but actually very complex—words, clean and dirty, are as much the currency of evaluation as minutes and seconds or feet, inches and meters. It’s an ugly place and a place from which nobody emerges unscathed, often by their own hand, but also assisted by the decades-old culture of the sport, which seems so resistant to sweeping change, despite the good and earnest efforts of the many. Their allegations against Salazar range from experimenting with well-known doping aids, such as testosterone, to giving athletes prescription medications they either didn't need or weren't prescribed in hopes of gaining a competitive advantage from their side effects. Some runners say they joked that being fast was only one prerequisite for joining the team—you also had to have prescriptions for thyroid hormone or asthma medication. The story, in essence, painted a picture of Salazar as driven to the point of obsession not just with training athletes, but also with pushing the sport’s medication rules to—and sometimes beyond—the breaking point. The story was heavily sourced with on-the-record interviews, but it also admitted the lack of a smoking gun, “testifying to the kind of doping most familiar in distance running: blood doping and testosterone use…” But a haunting sentence high in the story described a conflicted Magness watching the memorable one-two finish by Nike Oregon Project teammates Farah and Rupp in the 2012 Olympic 10,000 meters: That's because Magness is convinced that the Oregon Project's head coach—running icon Alberto Salazar—had achieved the pinnacle of distance running success by cheating. Nine days later, ProPublica and Epstein posted a follow-up to the original story, in which more former NOP athletes called Salazar’s methods into question. Since the investigation was published, three more former members of the Oregon Project have contacted ProPublica, bringing to 17 the number of athletes and Oregon Project staffers who have described to ProPublica and the BBC what they feel was inappropriate prescription drug use orchestrated by Salazar. Most declined to speak publicly because of the power Salazar and Nike hold in U.S. track. 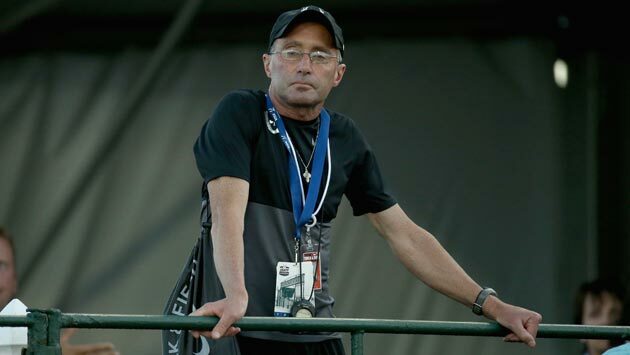 Salazar had offered scant response to the reports until Wednesday, when he published a 28-page, 12,000-word response posted in two sections on the Nike Oregon Project website. In it, Salazar challenges most, but not all, of the assertions in the original report and oddly responds to some allegations which were not brought by ProPublica or the BBC, but which had long been whispered in track circles. The Salazar letter was extensive, yet not complete; compelling yet not entirely persuasive. It was emotional, which is unsurprising to anyone who knows Salazar well. Among the most damning allegations in the ProPublica/BBC investigation was that Rupp was taking testosterone under Salazar’s tutelage while still in high school, a major doping violation. Salazar denied that allegation and says that Rupp was taking Testoboost, a legal supplement that claims to raise testosterone levels. That same evening, ProPublica posted a response to Salazar’s response (which, interestingly, the Eugene Register-Guard did not mention in its front-page story detailing Salazar’s response. Note: Register-Guard track writer Austin Meek mailed me early Friday morning to say, “We did not deliberately omit the ProPublica response. I didn't see it until the next morning. If I'd seen it that night, I would have updated the story.”), which answered some, but not all, of Salazar’s responses. More digital volleys in this battle will surely test the endurance of even the most avid track fans. There is no clear winner. Some disclosure is important here. I worked alongside Epstein for several years at Sports Illustrated, and communicated with him as he embarked upon some of the early reporting that led to his ProPublica story. I have the highest respect for Epstein’s professionalism and ethics. I have also known Salazar for nearly 24 years, though we have been by turns friendly and combative during that time (not uncommon among extended journalist-subject relationships). I respect him in many ways, too. He is uniquely driven among the thousands of athletes and coaches I have known during my career. As Epstein was working on his story in 2012, I was often covering Salazar and his athletes, including for a February, 2012 story in which I spent two days with Salazar, Farah and Rupp in Albuquerque, and on several other occasions when Salazar gave me exclusive access and assessments that proved useful in my reporting. I appreciated the access I was given and tried to use it to tell strong stories. I have long found Salazar a fascinating narrative figure on many levels, including his willingness to push the limits of competitive drive. That doesn’t mean I think him innocent; I don’t know if he’s innocent. Salazar’s aggressive coaching and medicating was taken public by ProPublica and the BBC. However, it was long whispered about within the sport. This is true not just of Salazar, but of many athletes and coaches in track and field. In the lobbies and bars of meet-headquarter hotels around the world, every successful athlete and every successful coach is accused by somebody of something. But Salazar had become the subject of more rumors than most, perhaps in part because in post-Lance Armstrong, post-baseball-Steroid-Era America, anything but the purest—or seemingly purest—intentions are subject to severe blowback. The landscape has changed, and for the good. A brief history here: I first met Salazar in the fall of 1991, when I came to his home (then in Eugene; he now lives in the Portland area) to write a profile for Newsday on the 10th anniversary of the first of Salazar’s three victories in the New York City Marathon. I knew the basics of the story: That Salazar was just maybe the toughest elite runner ever, that he had twice nearly run himself to death in races (including his victory in the 1982 Boston Marathon, so richly detailed years later in John Brant’s book, Duel in the Sun), and that he had essentially raced until no more efforts remained. And then he had raced some more. In that visit, I learned more. He showed me his old training logs. In an entry written after losing by a second to the faded—but still formidable—Henry Rono in a famous 10,000-meter race at Hayward in 1982, Salazar wrote, “Wimp. You can always find another second.” Salazar’s old coach, Bill Dellinger, told me that Salazar had once come to Dellinger’s house to use the whirlpool but, on a cold autumn morning, jumped in without turning on the heater, and Dellinger had found him shivering in ice-cold, swirling water. “Who would do that but Alberto?” Dellinger asked, rhetorically. Salazar was generous with his time and his memories. He also talked about how drugs such as prednisone and Prozac might help restore his exhausted adrenal system and he would eventually take both. Five years later, when Salazar was coaching Mary Slaney to a comeback in which she made the Olympic team in the 5,000 meters at age 37, and later tested positive for excessive testosterone, I wrote a back-page column in SI noting that Salazar had been willing to consider pushing medical limits on himself, so perhaps he would do so for a runner under his care. That characterization was borderline unfair, but I felt it deserved mention. Salazar was livid, and told me so. We talked occasionally in the ensuing years, but not at length again until 2007, when Kara Goucher, coached by Salazar, won a medal in the 10,000 meters at the world championships in Osaka, Japan, the first by any U.S. athlete in a global championships distance race in 16 years. It was, in many ways, the first step toward the renaissance of U.S. distance and middle-distance running that is ongoing today. Salazar was recovering from a heart attack at the time, looking tired and weak, but clearly thrilled. His coaching profile grew swiftly from there. I first approached Salazar about writing a dual profile of Rupp and Farah in late January of 2012, at a Boston hotel before an indoor meet. Salazar was helpful in arranging my visit to New Mexico later that month. During that time period I asked him about his reputation for pushing the envelope on medication and perhaps unnecessary medication, about which rumors were already rampant in the sport. He said, “I would never do anything against the rules. But I’m going to do everything within the rules to help my athletes.” The message was clear: Salazar was going to walk up to the line that separates right from wrong, just as, when competing, he had walked up to the line that defines sanity for most. Again, this was in early February of 2012. Later that month, I watched Farah run through a series of 300-meter repeats in a speed session at the Albuquerque Convention Center. Before that workout, I watched as Farah used an inhaler. Salazar saw me watching and immediately came to me and explained that Farah’s use of inhalers was supervised and approved by British Athletics. He later forwarded me emails from British physicians, supporting this position. I no longer have those emails. In that same visit, Salazar talked about having taken Rupp to a doctor to have his sinuses drained, because of some congestion that was affecting his breathing. My sense was that sinus draining and inhaler use were excessive, but then again, almost everything world-class distance runners do seems excessive to civilians. After Farah’s and Rupp’s one-two finish in London, which I covered and found to be one of the most compelling events of that, or any, Olympic track competition, I talked sporadically to Salazar and then interviewed him at length for a 2013 story on teenage distance-running star Mary Cain, whom Salazar coaches. We didn’t communicate again until I sent him an email in January. He responded by saying that he was in Florida, handling arrangements for the funeral of his father, Jose, and in general feeling stressed. “My blood pressure is sky high,” he said, which is not a good condition for a man with a bad ticker. In talking at length about his coaching, it became clear that Salazar was passionate about coaching his athletes to defeat the East Africans who have dominated distance running for three decades. He once described the Kenyan system to me as one that simply takes hundreds of gifted runners and trains them impossibly hard, with the knowledge that a small number would survive the training. He knew he did not have that option with Americans. He also was ahead of his peers in understanding the evolution that would demand a new set of skills to win medals: Distance runners would have to be able to kick fiercely off any pace, not just a slow one. He coaches his runners accordingly. So this is what you have: The most obsessive runner in history coaching to a seemingly unattainable goal. It is a recipe for pushing limits, which Salazar admits to doing. It has made him unpopular among athletes he doesn’t coach. Epstein’s story noted that his nickname among critics is “Albuterol Salazar,” a play on his first name to match an asthma medication. Is this jealousy or truth? Did Salazar make himself stop at the line he crossed as an athlete (though not by cheating, insofar as anyone has claimed)? He knows. Rupp knows. Farah knows. On Thursday night, Galen Rupp ran fast around a track and fans applauded that effort. He is not a graceful runner, but rather a powerful one, with high knees and driving arms. You see his effort. He is the best the U.S. has seen in a very long time so it was sad to understand the subtext of this victory, and the extra line in his biography. Not sad because it’s wrong. Not sad because it’s right. Sad because it just is. Forever.